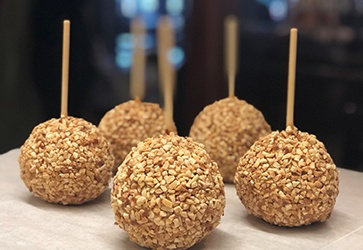 From the classic Caramel Peanut to the local favorite Buckeye Caramel Apple, we have a flavor that is sure to please everyone! We offer samples daily and continually add in new flavors. Looking for something a little different like our Jolly Rancher, our Perfect PB&J or our Blueberry Cheesecake Caramel Apple? 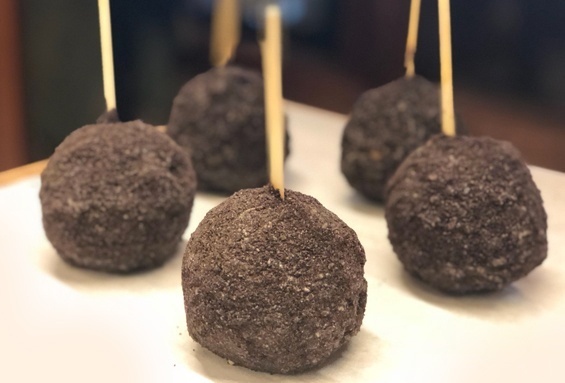 Our flavor combinations are truly too-good-to-be-true and we take great pride in creating a confection that will be sure to make you think you are eating the real thing! A classic just like you remember it! A crisp Granny Smith Apple hand-dipped in our velvety caramel and loaded with peanuts. This dessert is on every peanut lover’s wish list! Calling all ice cream lovers! 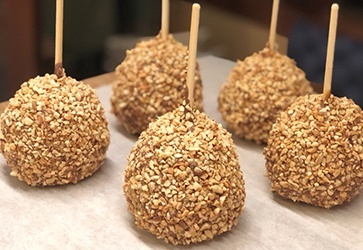 A crisp Granny Smith apple hand-dipped in our velvety caramel and rolled in crunch coat! 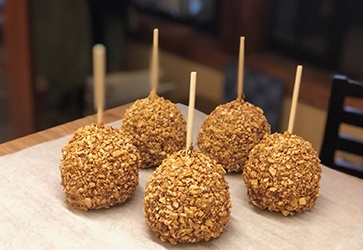 That crunchy coating that is so delicious on ice cream is so much better on a caramel apple! Sweet and salty and oh so good! 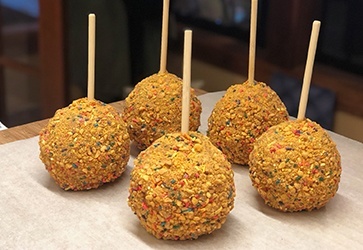 A crisp Granny Smith apple hand-dipped in our velvety caramel, dipped in milk chocolate, and covered with our irresistible salted peanut topping! A new twist on a classic flavor! A crisp Granny Smith apple hand-dipped in our velvety caramel, dipped in milk chocolate, and covered with our scrumptious Cinnamon Bun topping. This one is hand-dipped with some Ohio pride and a favorite in the Buckeye state! 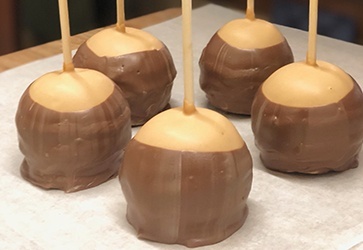 A crisp Granny Smith apple hand-dipped in our velvety caramel, dipped in creamy peanut butter chocolate, and dipped once more in milk chocolate! Yum! A true classic and an unmistakable flavor we all know and love! A crisp Granny Smith apple hand-dipped in our velvety caramel, milk chocolate, and a generous layer of Oreo! Salty and sweet is always the perfect combination! 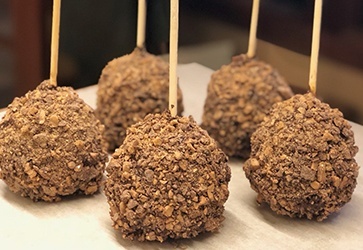 A crisp Granny Smith apple hand-dipped in our velvety caramel, dipped in rich dark chocolate, and covered with peanuts! 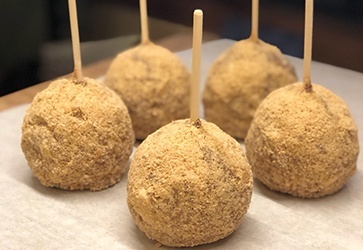 For those who like to keep it classic, we start with a sweet Fuji apple hand-dipped in a traditional cinnamon hard candy coating that tastes as good as you remember it! A classic combination of peanut butter and apple! 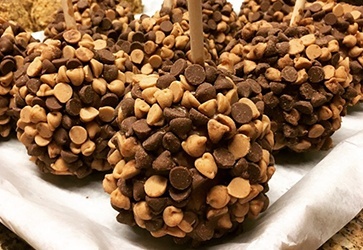 A crisp Granny Smith apple hand-dipped in our velvety caramel, dipped in milk chocolate, and smothered in peanut butter chips and chocolate chips! Peanut butter lovers unite! One of our best sellers and a taste that will have you coming back for more! 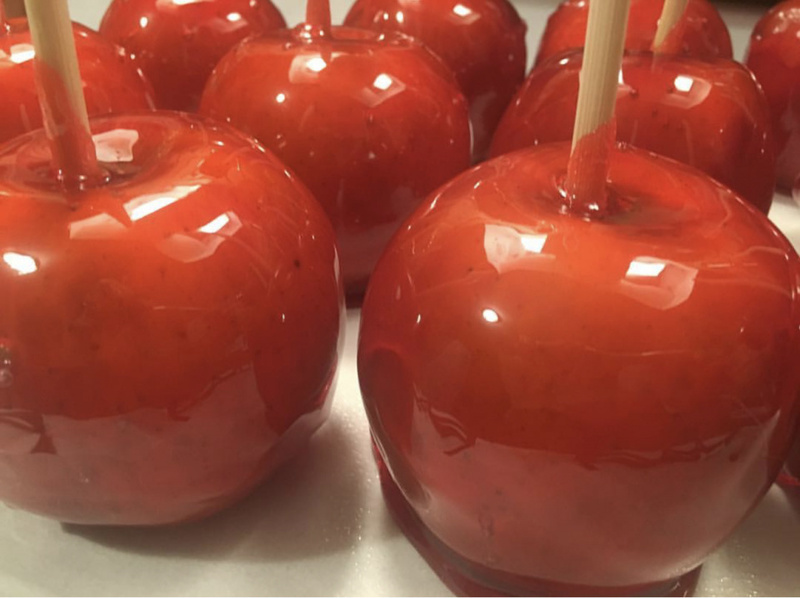 A crisp Granny Smith apple hand-dipped in our velvety caramel, dipped in rich dark chocolate, and covered in toffee! We hand-dip over 60 flavor combinations and flavors are currently being updated.